Product #18686 | SKU LP36256 | 0.0 (no ratings yet) Thanks for your rating! 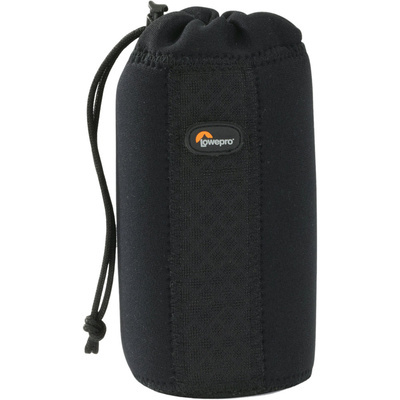 The Lowepro S&F Bottle Pouch (Black) is a neoprene modular pouch with a drawstring and toggle closure. It is designed to carry a standard sport bottle or metal canteen. The case will fit any Lowepro bag that uses a SlipLock attachment tab or S&F belt. It also carries a variety of personal items and accessories that use a D-ring that attaches to loop, strap or hook.